With over 30 years Engineering experience in maintenance and manufacturing, here at Bearings and more Langley we are very well placed to help and advise you regarding your requirements or problems either over the telephone, by email or during a face to face discussion at the Langley office or on your site. As an independent supplier Bearings and More Langley is able to source standard product from any of the manufacturers in the UK, Europe and the USA. 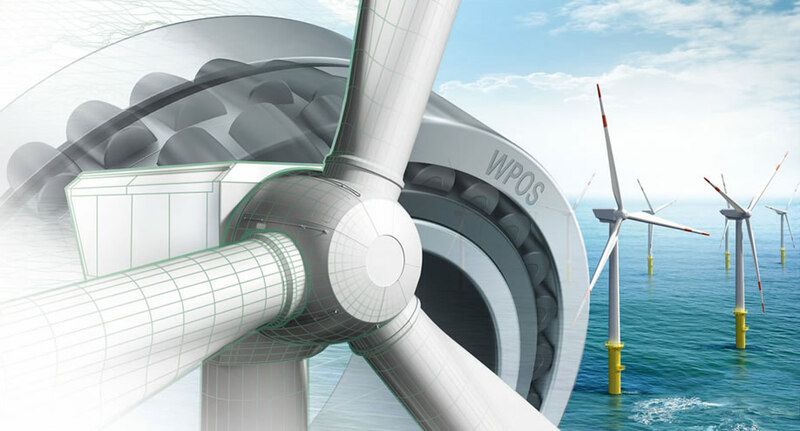 We are also able to help with the Design element of your Project. 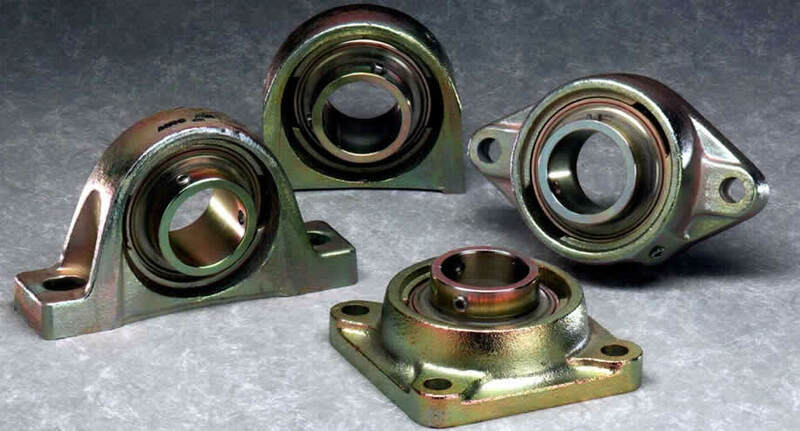 With low overheads Bearings and More-Langley is able to offer products and services at very competitive prices including component repair and manufacture via a number of associated machine shops. The scope of work undertaken is huge and as you will see from the list on the left, ranges from the supply of simple fastenings through Hydraulic ram repairs, component manufacture and repair to the rebuilding of large gearboxes. Our aim is to meet your delivery requirement, even if it is the same day as your order, without additional charges. We have No Minimum Charge. We do not charge for deliveries made using our own transport. We are available 24/7 if you have an emergency – Call the Office Number and your call will be answered. BearingsandMore located in Langley, Slough, on the M4 just outside London UK. 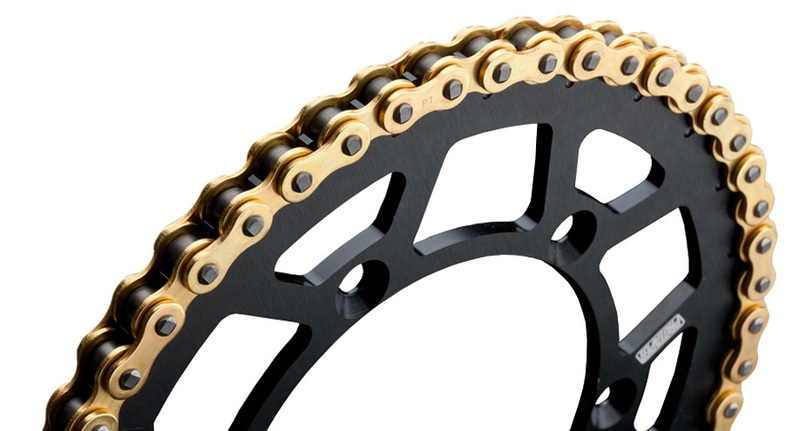 The purpose of this website is Bearings, Belts and Pulleys, Gearboxes, Geared Motors, Chains and Sprockets, Couplings, O Rings, Belting, Rubber belts, Plastic belts, Fixings, Fastenings, Gaskets, Seals, Sealants, Adhesives, Hosing, Tubing, Plastic materials, Conveyor Components, Motors, Inverters, Pneumatic Valves, Precision Guides, Rails, Ballscrews, Gearbox Repair, Gearbox Reconditioning, Hydraulic Ram Repairs, Machining, Services, Pump Overhaul, Mechanical Seals, Spindle Reconditioning, lubricants, spillage control. The aim of this website is Bearings, Belts and Pulleys, Gearboxes, Geared Motors, Chains and Sprockets, Couplings, O Rings, Belting, Rubber belts, Plastic belts, Fixings, Fastenings, Gaskets, Seals, Sealants, Adhesives, Hosing, Tubing, Plastic materials, Conveyor Components, Motors, Inverters, Pneumatic Valves, Precision Guides, Rails, Ballscrews, Gearbox Repair, Gearbox Reconditioning, Hydraulic Ram Repairs, Machining, Services, Pump Overhaul, Mechanical Seals, Spindle Reconditioning, lubricants, spillage control. 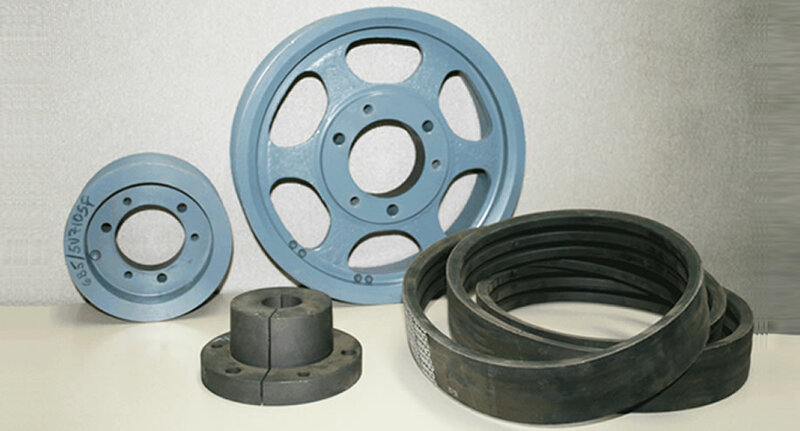 This website is expressing Bearings, Belts and Pulleys, Gearboxes, Geared Motors, Chains and Sprockets, Couplings, O Rings, Belting, Rubber belts, Plastic belts, Fixings, Fastenings, Gaskets, Seals, Sealants, Adhesives, Hosing, Tubing, Plastic materials, Conveyor Components, Motors, Inverters, Pneumatic Valves, Precision Guides, Rails, Ballscrews, Gearbox Repair, Gearbox Reconditioning, Hydraulic Ram Repairs, Machining, Services, Pump Overhaul, Mechanical Seals, Spindle Reconditioning, lubricants, spillage control. The ideas of this website are to Bearings, Belts and Pulleys, Gearboxes, Geared Motors, Chains and Sprockets, Couplings, O Rings, Belting, Rubber belts, Plastic belts, Fixings, Fastenings, Gaskets, Seals, Sealants, Adhesives, Hosing, Tubing, Plastic materials, Conveyor Components, Motors, Inverters, Pneumatic Valves, Precision Guides, Rails, Ballscrews, Gearbox Repair, Gearbox Reconditioning, Hydraulic Ram Repairs, Machining, Services, Pump Overhaul, Mechanical Seals, Spindle Reconditioning, lubricants, spillage control. As an informative website, we are trying to explain Bearings, Belts and Pulleys, Gearboxes, Geared Motors, Chains and Sprockets, Couplings, O Rings, Belting, Rubber belts, Plastic belts, Fixings, Fastenings, Gaskets, Seals, Sealants, Adhesives, Hosing, Tubing, Plastic materials, Conveyor Components, Motors, Inverters, Pneumatic Valves, Precision Guides, Rails, Ballscrews, Gearbox Repair, Gearbox Reconditioning, Hydraulic Ram Repairs, Machining, Services, Pump Overhaul, Mechanical Seals, Spindle Reconditioning, lubricants, spillage control. This website of local information aims to Bearings, Belts and Pulleys, Gearboxes, Geared Motors, Chains and Sprockets, Couplings, O Rings, Belting, Rubber belts, Plastic belts, Fixings, Fastenings, Gaskets, Seals, Sealants, Adhesives, Hosing, Tubing, Plastic materials, Conveyor Components, Motors, Inverters, Pneumatic Valves, Precision Guides, Rails, Ballscrews, Gearbox Repair, Gearbox Reconditioning, Hydraulic Ram Repairs, Machining, Services, Pump Overhaul, Mechanical Seals, Spindle Reconditioning, lubricants, spillage control. This website provides information regarding to Bearings, Belts and Pulleys, Gearboxes, Geared Motors, Chains and Sprockets, Couplings, O Rings, Belting, Rubber belts, Plastic belts, Fixings, Fastenings, Gaskets, Seals, Sealants, Adhesives, Hosing, Tubing, Plastic materials, Conveyor Components, Motors, Inverters, Pneumatic Valves, Precision Guides, Rails, Ballscrews, Gearbox Repair, Gearbox Reconditioning, Hydraulic Ram Repairs, Machining, Services, Pump Overhaul, Mechanical Seals, Spindle Reconditioning, lubricants, spillage control. Informative and helpful, this website explains Bearings, Belts and Pulleys, Gearboxes, Geared Motors, Chains and Sprockets, Couplings, O Rings, Belting, Rubber belts, Plastic belts, Fixings, Fastenings, Gaskets, Seals, Sealants, Adhesives, Hosing, Tubing, Plastic materials, Conveyor Components, Motors, Inverters, Pneumatic Valves, Precision Guides, Rails, Ballscrews, Gearbox Repair, Gearbox Reconditioning, Hydraulic Ram Repairs, Machining, Services, Pump Overhaul, Mechanical Seals, Spindle Reconditioning, lubricants, spillage control. A website providing great advice on Bearings, Belts and Pulleys, Gearboxes, Geared Motors, Chains and Sprockets, Couplings, O Rings, Belting, Rubber belts, Plastic belts, Fixings, Fastenings, Gaskets, Seals, Sealants, Adhesives, Hosing, Tubing, Plastic materials, Conveyor Components, Motors, Inverters, Pneumatic Valves, Precision Guides, Rails, Ballscrews, Gearbox Repair, Gearbox Reconditioning, Hydraulic Ram Repairs, Machining, Services, Pump Overhaul, Mechanical Seals, Spindle Reconditioning, lubricants, spillage control. In need of advice on Bearings, Belts and Pulleys, Gearboxes, Geared Motors, Chains and Sprockets, Couplings, O Rings, Belting, Rubber belts, Plastic belts, Fixings, Fastenings, Gaskets, Seals, Sealants, Adhesives, Hosing, Tubing, Plastic materials, Conveyor Components, Motors, Inverters, Pneumatic Valves, Precision Guides, Rails, Ballscrews, Gearbox Repair, Gearbox Reconditioning, Hydraulic Ram Repairs, Machining, Services, Pump Overhaul, Mechanical Seals, Spindle Reconditioning, lubricants, spillage control, this website aims to help. This site introduces you to Bearings, Belts and Pulleys, Gearboxes, Geared Motors, Chains and Sprockets, Couplings, O Rings, Belting, Rubber belts, Plastic belts, Fixings, Fastenings, Gaskets, Seals, Sealants, Adhesives, Hosing, Tubing, Plastic materials, Conveyor Components, Motors, Inverters, Pneumatic Valves, Precision Guides, Rails, Ballscrews, Gearbox Repair, Gearbox Reconditioning, Hydraulic Ram Repairs, Machining, Services, Pump Overhaul, Mechanical Seals, Spindle Reconditioning, lubricants, spillage control. For an insight into Bearings, Belts and Pulleys, Gearboxes, Geared Motors, Chains and Sprockets, Couplings, O Rings, Belting, Rubber belts, Plastic belts, Fixings, Fastenings, Gaskets, Seals, Sealants, Adhesives, Hosing, Tubing, Plastic materials, Conveyor Components, Motors, Inverters, Pneumatic Valves, Precision Guides, Rails, Ballscrews, Gearbox Repair, Gearbox Reconditioning, Hydraulic Ram Repairs, Machining, Services, Pump Overhaul, Mechanical Seals, Spindle Reconditioning, lubricants, spillage control, check out our website. For concise and easy to navigate info on Bearings, Belts and Pulleys, Gearboxes, Geared Motors, Chains and Sprockets, Couplings, O Rings, Belting, Rubber belts, Plastic belts, Fixings, Fastenings, Gaskets, Seals, Sealants, Adhesives, Hosing, Tubing, Plastic materials, Conveyor Components, Motors, Inverters, Pneumatic Valves, Precision Guides, Rails, Ballscrews, Gearbox Repair, Gearbox Reconditioning, Hydraulic Ram Repairs, Machining, Services, Pump Overhaul, Mechanical Seals, Spindle Reconditioning, lubricants, spillage control. A wide ranging group of helpful pages including Bearings, Belts and Pulleys, Gearboxes, Geared Motors, Chains and Sprockets, Couplings, O Rings, Belting, Rubber belts, Plastic belts, Fixings, Fastenings, Gaskets, Seals, Sealants, Adhesives, Hosing, Tubing, Plastic materials, Conveyor Components, Motors, Inverters, Pneumatic Valves, Precision Guides, Rails, Ballscrews, Gearbox Repair, Gearbox Reconditioning, Hydraulic Ram Repairs, Machining, Services, Pump Overhaul, Mechanical Seals, Spindle Reconditioning, lubricants, spillage control. An innovative website, including info on Bearings, Belts and Pulleys, Gearboxes, Geared Motors, Chains and Sprockets, Couplings, O Rings, Belting, Rubber belts, Plastic belts, Fixings, Fastenings, Gaskets, Seals, Sealants, Adhesives, Hosing, Tubing, Plastic materials, Conveyor Components, Motors, Inverters, Pneumatic Valves, Precision Guides, Rails, Ballscrews, Gearbox Repair, Gearbox Reconditioning, Hydraulic Ram Repairs, Machining, Services, Pump Overhaul, Mechanical Seals, Spindle Reconditioning, lubricants, spillage control. A website introducing you to aspects of Bearings, Belts and Pulleys, Gearboxes, Geared Motors, Chains and Sprockets, Couplings, O Rings, Belting, Rubber belts, Plastic belts, Fixings, Fastenings, Gaskets, Seals, Sealants, Adhesives, Hosing, Tubing, Plastic materials, Conveyor Components, Motors, Inverters, Pneumatic Valves, Precision Guides, Rails, Ballscrews, Gearbox Repair, Gearbox Reconditioning, Hydraulic Ram Repairs, Machining, Services, Pump Overhaul, Mechanical Seals, Spindle Reconditioning, lubricants, spillage control. An original website providing ideas regarding Bearings, Belts and Pulleys, Gearboxes, Geared Motors, Chains and Sprockets, Couplings, O Rings, Belting, Rubber belts, Plastic belts, Fixings, Fastenings, Gaskets, Seals, Sealants, Adhesives, Hosing, Tubing, Plastic materials, Conveyor Components, Motors, Inverters, Pneumatic Valves, Precision Guides, Rails, Ballscrews, Gearbox Repair, Gearbox Reconditioning, Hydraulic Ram Repairs, Machining, Services, Pump Overhaul, Mechanical Seals, Spindle Reconditioning, lubricants, spillage control. 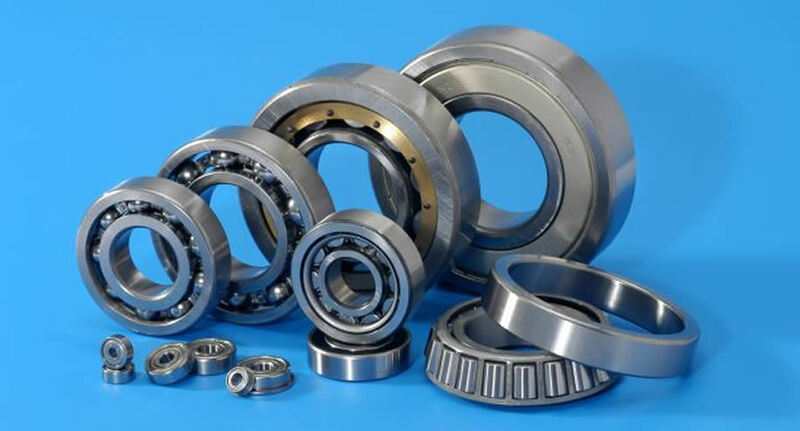 This website relates to Bearings, Belts and Pulleys, Gearboxes, Geared Motors, Chains and Sprockets, Couplings, O Rings, Belting, Rubber belts, Plastic belts, Fixings, Fastenings, Gaskets, Seals, Sealants, Adhesives, Hosing, Tubing, Plastic materials, Conveyor Components, Motors, Inverters, Pneumatic Valves, Precision Guides, Rails, Ballscrews, Gearbox Repair, Gearbox Reconditioning, Hydraulic Ram Repairs, Machining, Services, Pump Overhaul, Mechanical Seals, Spindle Reconditioning, lubricants, spillage control. An expressive website concerned with Bearings, Belts and Pulleys, Gearboxes, Geared Motors, Chains and Sprockets, Couplings, O Rings, Belting, Rubber belts, Plastic belts, Fixings, Fastenings, Gaskets, Seals, Sealants, Adhesives, Hosing, Tubing, Plastic materials, Conveyor Components, Motors, Inverters, Pneumatic Valves, Precision Guides, Rails, Ballscrews, Gearbox Repair, Gearbox Reconditioning, Hydraulic Ram Repairs, Machining, Services, Pump Overhaul, Mechanical Seals, Spindle Reconditioning, lubricants, spillage control. This website provides unbiased information on Bearings, Belts and Pulleys, Gearboxes, Geared Motors, Chains and Sprockets, Couplings, O Rings, Belting, Rubber belts, Plastic belts, Fixings, Fastenings, Gaskets, Seals, Sealants, Adhesives, Hosing, Tubing, Plastic materials, Conveyor Components, Motors, Inverters, Pneumatic Valves, Precision Guides, Rails, Ballscrews, Gearbox Repair, Gearbox Reconditioning, Hydraulic Ram Repairs, Machining, Services, Pump Overhaul, Mechanical Seals, Spindle Reconditioning, lubricants, spillage control. A factual website assisting in Bearings, Belts and Pulleys, Gearboxes, Geared Motors, Chains and Sprockets, Couplings, O Rings, Belting, Rubber belts, Plastic belts, Fixings, Fastenings, Gaskets, Seals, Sealants, Adhesives, Hosing, Tubing, Plastic materials, Conveyor Components, Motors, Inverters, Pneumatic Valves, Precision Guides, Rails, Ballscrews, Gearbox Repair, Gearbox Reconditioning, Hydraulic Ram Repairs, Machining, Services, Pump Overhaul, Mechanical Seals, Spindle Reconditioning, lubricants, spillage control. A small taste of Bearings, Belts and Pulleys, Gearboxes, Geared Motors, Chains and Sprockets, Couplings, O Rings, Belting, Rubber belts, Plastic belts, Fixings, Fastenings, Gaskets, Seals, Sealants, Adhesives, Hosing, Tubing, Plastic materials, Conveyor Components, Motors, Inverters, Pneumatic Valves, Precision Guides, Rails, Ballscrews, Gearbox Repair, Gearbox Reconditioning, Hydraulic Ram Repairs, Machining, Services, Pump Overhaul, Mechanical Seals, Spindle Reconditioning, lubricants, spillage control is provided within this website. We hope this website helps you in your search for information on Bearings, Belts and Pulleys, Gearboxes, Geared Motors, Chains and Sprockets, Couplings, O Rings, Belting, Rubber belts, Plastic belts, Fixings, Fastenings, Gaskets, Seals, Sealants, Adhesives, Hosing, Tubing, Plastic materials, Conveyor Components, Motors, Inverters, Pneumatic Valves, Precision Guides, Rails, Ballscrews, Gearbox Repair, Gearbox Reconditioning, Hydraulic Ram Repairs, Machining, Services, Pump Overhaul, Mechanical Seals, Spindle Reconditioning, lubricants, spillage control. An offering of data to aid you in Bearings, Belts and Pulleys, Gearboxes, Geared Motors, Chains and Sprockets, Couplings, O Rings, Belting, Rubber belts, Plastic belts, Fixings, Fastenings, Gaskets, Seals, Sealants, Adhesives, Hosing, Tubing, Plastic materials, Conveyor Components, Motors, Inverters, Pneumatic Valves, Precision Guides, Rails, Ballscrews, Gearbox Repair, Gearbox Reconditioning, Hydraulic Ram Repairs, Machining, Services, Pump Overhaul, Mechanical Seals, Spindle Reconditioning, lubricants, spillage control. An introduction website containing information regarding Bearings, Belts and Pulleys, Gearboxes, Geared Motors, Chains and Sprockets, Couplings, O Rings, Belting, Rubber belts, Plastic belts, Fixings, Fastenings, Gaskets, Seals, Sealants, Adhesives, Hosing, Tubing, Plastic materials, Conveyor Components, Motors, Inverters, Pneumatic Valves, Precision Guides, Rails, Ballscrews, Gearbox Repair, Gearbox Reconditioning, Hydraulic Ram Repairs, Machining, Services, Pump Overhaul, Mechanical Seals, Spindle Reconditioning, lubricants, spillage control. We offer info on Bearings, Belts and Pulleys, Gearboxes, Geared Motors, Chains and Sprockets, Couplings, O Rings, Belting, Rubber belts, Plastic belts, Fixings, Fastenings, Gaskets, Seals, Sealants, Adhesives, Hosing, Tubing, Plastic materials, Conveyor Components, Motors, Inverters, Pneumatic Valves, Precision Guides, Rails, Ballscrews, Gearbox Repair, Gearbox Reconditioning, Hydraulic Ram Repairs, Machining, Services, Pump Overhaul, Mechanical Seals, Spindle Reconditioning, lubricants, spillage control. Find here information regarding Bearings, Belts and Pulleys, Gearboxes, Geared Motors, Chains and Sprockets, Couplings, O Rings, Belting, Rubber belts, Plastic belts, Fixings, Fastenings, Gaskets, Seals, Sealants, Adhesives, Hosing, Tubing, Plastic materials, Conveyor Components, Motors, Inverters, Pneumatic Valves, Precision Guides, Rails, Ballscrews, Gearbox Repair, Gearbox Reconditioning, Hydraulic Ram Repairs, Machining, Services, Pump Overhaul, Mechanical Seals, Spindle Reconditioning, lubricants, spillage control. Simple info about Bearings, Belts and Pulleys, Gearboxes, Geared Motors, Chains and Sprockets, Couplings, O Rings, Belting, Rubber belts, Plastic belts, Fixings, Fastenings, Gaskets, Seals, Sealants, Adhesives, Hosing, Tubing, Plastic materials, Conveyor Components, Motors, Inverters, Pneumatic Valves, Precision Guides, Rails, Ballscrews, Gearbox Repair, Gearbox Reconditioning, Hydraulic Ram Repairs, Machining, Services, Pump Overhaul, Mechanical Seals, Spindle Reconditioning, lubricants, spillage control, in easy to understand format. You can find data on Bearings, Belts and Pulleys, Gearboxes, Geared Motors, Chains and Sprockets, Couplings, O Rings, Belting, Rubber belts, Plastic belts, Fixings, Fastenings, Gaskets, Seals, Sealants, Adhesives, Hosing, Tubing, Plastic materials, Conveyor Components, Motors, Inverters, Pneumatic Valves, Precision Guides, Rails, Ballscrews, Gearbox Repair, Gearbox Reconditioning, Hydraulic Ram Repairs, Machining, Services, Pump Overhaul, Mechanical Seals, Spindle Reconditioning, lubricants, spillage control here. Ever looked for info regarding Bearings, Belts and Pulleys, Gearboxes, Geared Motors, Chains and Sprockets, Couplings, O Rings, Belting, Rubber belts, Plastic belts, Fixings, Fastenings, Gaskets, Seals, Sealants, Adhesives, Hosing, Tubing, Plastic materials, Conveyor Components, Motors, Inverters, Pneumatic Valves, Precision Guides, Rails, Ballscrews, Gearbox Repair, Gearbox Reconditioning, Hydraulic Ram Repairs, Machining, Services, Pump Overhaul, Mechanical Seals, Spindle Reconditioning, lubricants, spillage control, you can find it here. 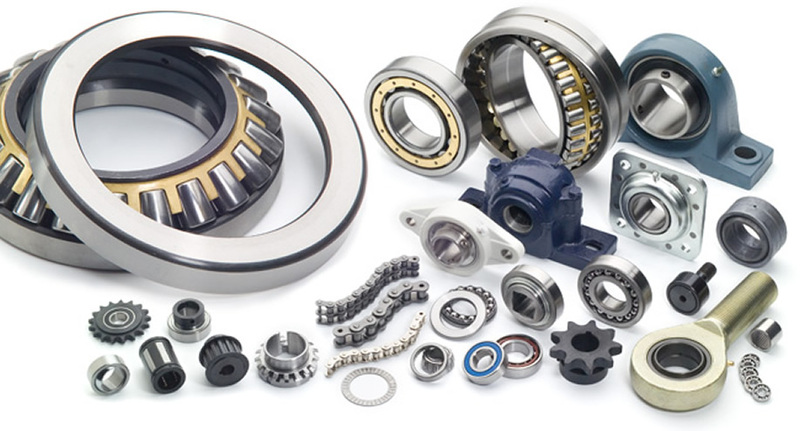 A collection of Bearings, Belts and Pulleys, Gearboxes, Geared Motors, Chains and Sprockets, Couplings, O Rings, Belting, Rubber belts, Plastic belts, Fixings, Fastenings, Gaskets, Seals, Sealants, Adhesives, Hosing, Tubing, Plastic materials, Conveyor Components, Motors, Inverters, Pneumatic Valves, Precision Guides, Rails, Ballscrews, Gearbox Repair, Gearbox Reconditioning, Hydraulic Ram Repairs, Machining, Services, Pump Overhaul, Mechanical Seals, Spindle Reconditioning, lubricants, spillage control data is held within this website. This website contains information which will help people looking for Bearings, Belts and Pulleys, Gearboxes, Geared Motors, Chains and Sprockets, Couplings, O Rings, Belting, Rubber belts, Plastic belts, Fixings, Fastenings, Gaskets, Seals, Sealants, Adhesives, Hosing, Tubing, Plastic materials, Conveyor Components, Motors, Inverters, Pneumatic Valves, Precision Guides, Rails, Ballscrews, Gearbox Repair, Gearbox Reconditioning, Hydraulic Ram Repairs, Machining, Services, Pump Overhaul, Mechanical Seals, Spindle Reconditioning, lubricants, spillage control.